Please note that Ivan has done a translation of the analogy with the ship further on within this article, into Croatian which you can find here, https://www.transients.info/?s=p/zemljai-trenutna-situacija-prica-o.html. A friend of mine introduced me to David Topi and jokingly said that David is a Spanish version of me. My friend has since been translating certain material from David Topi, material which has a direct relation to the shift in consciousness as well as some information around David’s levels of existence outside of his Earth existence. 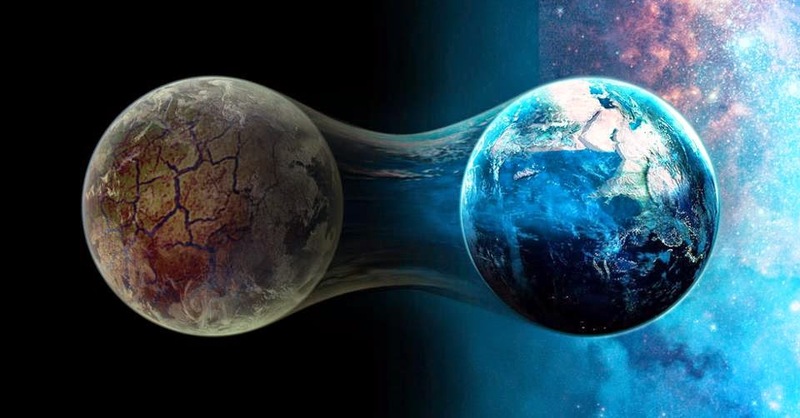 I have concluded this article with an analogy by David Topi, which is very well done and explains the shift / new earth situation from a perspective that may be more easily understood in comparison to looking at specific details and information out there. David Topi also provides a guided process that people can use to help themselves along with the shift. I have spent a lot of time putting this article together, as I felt it was important to share this with you all. It seems to resonate with me and is similar to my own belief system in relation to what is going on now, but also in relation to what David Topi has explained around his other aspects of consciousness. Before I get into the information from David Topi, and there is a lot of it that I will include below, I will first provide some information in relation to David Topi’s background, and also info around the source of where this information from David has actually come from. David Topi is an engineer, multifaceted writer, trainer and therapist. One of his main areas of involvement is educating and helping people through spiritual and personal processes. He is an energy healer and also uses the “Akashic” healing technique. He is trained in metaphysics, alternative methods, inherent spiritual abilities and in personal deployment systems that allow humans to express their maximum potential and find answers for their questions. Back in 2013 he created EMEDT, Metaphysics and Transpersonal Deployment School, to provide a framework, organised and structured to the training he teaches. The website for EMEDT can be found here, http://emedt.org (Spanish) and David Topi’s home page can be found here, http://www.davidtopi.com (Spanish). David Topi has given me permission to share his material that my friend José has spent a lot of time on translating. As for the source of this information from David, there are two. David Topi has explained that some of the information he gets comes through a higher aspect of him self. His explanation of what resides outside of his existence here, is similar to my own thoughts on the topic. But with the translation from Spanish to English, it can be a bit difficult to understand this information accurately because of a few terms and meanings lost in translation. 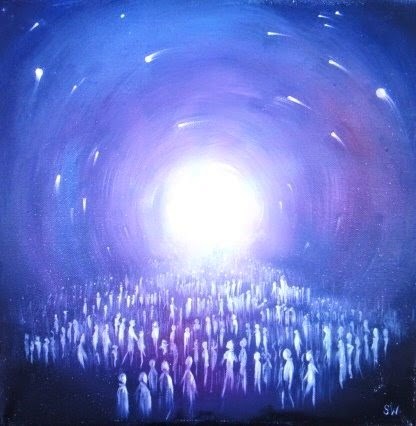 My understanding is that David is connecting into his higher self, and this collective consciousness (higher self) is above the soul which resides between his existence here, and his higher self. So I would label what I just referred to as the soul, as the immortal soul, that which resides in the spirit world and looks after the simultaneous existences that a soul can have. The higher self is above that on another dimensional level, I believe, and this is where the information is coming from. It’s also quite possible that there are other aspects of what comprises his existence between the immortal soul and the higher self, I just have not mentioned them here, but they are discussed in some detail below by David. This section is from an interview with David Topi in June 2014, which has been translated from Spanish into English. It covers two main topics, the first being around the various aspects of David’s existence outside of Earth and the second being around the shift in consciousness. Upper Me projections in different times, places, cultures. All of them are simultaneous. D: You are what we call…something that was said to me before? [ My Being belongs to an specific hierarchy , group, or evolutionary level, that told me before in other moment, through a guide, but I will not mentioned now here] Were you born in that level directly or did you go through different steps of growing ? B: No, I wasn’t born in this actual level. I was born in a level that you call …. 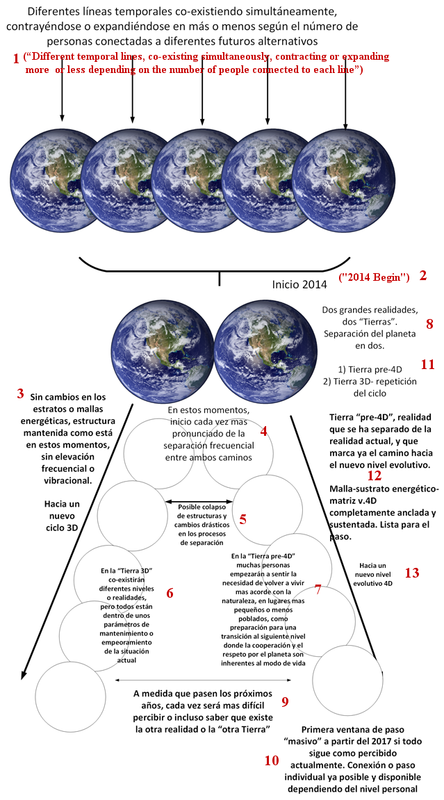 (One hierarchy some levels below) and I´ve been growing according to my learning eons ago. D: When you were born, did you start to project yourself directly to more physical levels ? D: How do you choose where to incarnate, which parameter or experiences tries to look for in order to choose where to incarnate? B: It isn’t me the one who choose, we choose like a group. B: We work together with a lot of beings, the awareness and the level I belong. We decide where to do so. D: But do you have some kind of semi-individual ? Or your awareness is completely integrated in the ones who shared that level? D: So, all of you share a macro-awareness, do you? D: Then, the name I’m using to refer to you is the vibration of your small part of awareness inside the group, isn’t it? B: Yes, is the phonetic translation for you of my vibration, nothing more. D: I understand but then, how do you decide the different places where you are incarnated and keeping experiences? B: In the places where the group considered that it was necessary. Everything is source of the experience. But not everybody belonging to my group have projections, just only the ones who desire it, or the ones who are ready for doing so, go downward to more dense levels. (physical). D: And the step to go downward the Earth. How did it happen? B: It´s just only experience David, That’s all. D: Is it like going downward to other level, with more density, in which you have never been before? B: Yes, in different worlds. D: And what kind of experiences I’m providing you like David…like the part of you that I am? B: You are providing me the experience of the density in where you are. D: it is more about where I am that the work that I´m performing here? B: Yes, only because what you notice, keeps and learns through the body that you are using, that I notice, keep and learn myself too, your interaction with other bodies, in that level. D: And this helps you to progress in anyway, isn’t it? D: For us, is our galactic logos? This galaxy, is it your source? B: Yes, we came from that David, although we have awareness of the SOURCE “one” [primary ] too. D: Do you notice the primary source? B: All we have awareness of it, you too David, although you already forgot it. D: Do you you mean through yourself? B: Inside you, you know it, but don`t remember it. Everything created, everything expressed, has a connection to the primary source. D: Sure…and in this particular moment, when you project yourself to the Earth, how do you perform that? Is it a single part of you, that goes downward from your level to this physical body? B: It’s through your others incarnations in intermediate levels, not directly from the level that I reside in. D: Is there any kind of material or physical environment from those intermediate levels of which I come from to the Earth? D: What you mean with “were”? B: Because time doesn’t exit, David. You were, you are and you will be everything that I am in all the levels I belong to. D: Ummm…ok….How many races, levels or places are you projected yourself at the same time? B: In this galaxy? Several ones. Different bodies, and places, that give me different experiences. D: Apart from the ones that I/You have in this planet, Is that right? D: And the work that I´m performing now, is it somehow manage by you? D: My “Upper Myself” is a part of you that coordinates your incarnations, is that right? D: And which instructions are provided to him from you? B: Just that, to coordinate it. Your “Upper Myself” is an awareness, is a part of me, is the part who takes control of the supervision of all my incarnations that I make, but you also perceive it like something slightly individual, apart from you and me, just because we are in different evolutionary levels . D: I’ve got it, like an awareness field… Static to the evolutionary level where you are projected, Is that right? D: That for us. Is it what I call a 6th density or one of the higher levels in the energy structure in the galaxy? B: Yes, in the way you understand it, what you call 6th density. D: So, all the work needed to prepare the incarnations is treated with the “Upper Myself”, not with you directly, …well, although we are part of the same. B: Yes, with your “Upper Myself” but anyhow it is part of me. Simply, the instructions are to expand downwards, and to project yourself to lower levels. D: And you tell the “Upper Myself” to go downwards one or two levels below. B: Yes, the level we want to experience, but to do so, we need those vehicles like the body you have now, but I’m not your body, I’m your awareness… do you understand it? Your body is something that you use, or we use, both of us, nothing else… you know. D: When I finish my incarnation, in what we call period between lives, is there any contact directly with you? The projection of the Being that I am, the spirit that I am, does he contact with the Being? D: But he will contact with the “Upper Myself”…in any way, won’t he? D: So, every lesson of life. Is it prepared with the “Upper Myself” always? B: In the period between lives, you mean? With your spiritual guides and the “Upper Myself” coordinates everything. Each projection has its own guides. Like a waterfall. D: Do we have the same difficulty to contact you than to contact de “Upper Myself”? B: Yes, it’s a part of me, simply the “Upper Myself” is more closer to you, that is the reason why is easier for you to contact. You already perform it with your work on Earth, David. D: Yes…Well… Can I ask you for another issue? This shift here in the Earth, that we are already in, that I’m going to realize, well even the rest of the race and the planet…Is there a time in which I re-integrate with you as a unit, with the whole Being you are? D: Which level do I need to reach in order to get it? D: Get there and go to what I call the 7th density? The last evolutionary level of this octave ? D: OK, so each part of the Being arriving to the 7th density re-integrates with the Being? D: And is it born again in the upper levels? B: Yes, in the case of the awareness group that I belong require and desire it. D: What are you doing now? Which is your specialization, mission, if that exist, in a natural way? D: Did you work or are you working in the Earth directly now, not with your incarnations like me, like awareness group that you belong to? D: And related to the coming shift, when we get the next vibrational level or awareness, is it easier connect to you, in general? D: Because is less dense (physically talking)? D: Through telepathic methods or deep meditations? B: Yes, it is much easier to perceive to the rest of parts of you once you left your physical body. D: Are all the projections that you have in Earth planet (my simultaneous lives) perceiving you? D: Is there anyone else other than the present David of this year, that perceives you? B: In one incarnation that existed in a past period, as you see it, in the period that you call “Persian Empire”. D: And why that happens? Why some of your projections perceive you and other don’t? B: Because your effort for that, your particular energy configuration, and the relationship of the people with you in your environment David, that gave you the understanding and comprehension of what you are and the way to connect with that and at the same time the decision you made in your between lives period. D: So, is it due to my desire to do it, teamwork, roadmap or plan agreed before incarnate and the agreements with other people that make this possible? B: That’s it, you have already agreed that. D: I didn’t perform it in other lives because it wasn’t necessary or because I didn’t know how to do it? B: It’s only being necessary in this life of the Persian Empire that I mentioned before. D: Are there any other projections from you in what I can call my future? D: Even in what we call the 4th density? B: Yes, when you pass to the next level, a new wheel is started in the level that you belong to now. D: A new evolutionary wheel, for the life in the 3rd density you mean? B: Yes, the evolution of the 2nd density will start a new wheel in the 3rd one, when humans have already passed to next one. D: Ok, let’s say that is like Nature or the Animal Kingdom or part of it, populate again the planet with 3rd density life… and were we able to perceive this from the 4th dimension? B: Not necessarily, we will see, they are very far each other in terms of vibrations. This is the second part of the transcription with the session in which I was able to contact my BEING. In real time, trying to know deeply about the incarnation process and the origin of what we are. I’ve been remain doubtful for several day if to public it or not, taking into account that all of us have a lot of questions and doubts about the process on the evolutionary change that we are suffering, so I think sometimes it is better no to perform any kind of speculation on it, until we really know and understand everything about it and their phases. Nonetheless, I suppose that when somebody gets/receives all this explanations, from very upper levels of awareness, is not to keep it… by contrary they are part of the process itself or at least how to understand it so that is the main reason that puts me on continue this transcription. David: So, do you perceive the planet Earth, maintaining the 3rd and 4th densities at the same time ? Being: Exactly, but taking into account what was just said before. D: How will be your new projections here in this new 3rd dimension when we have just passed to the 4th one? How are they that lives? B: Yes, a new start, a more natural one, a fully beginning of the present evolutionary level provided by the evolution of the below level. D: But… the physic body that you will use will be human one? D: Ok, so the humanoids, those are now at the end of the 2nd density, will be the one you will be using in the 3th one, won’t they? B: Yes, but you won’t perceive this new 3th density, perhaps you will only will coexist with then temporally, during the time needed to the shift to be completed. D: Do you mean in the sense of people who is not able to reach the 4th in the ideal time line, are they the ones coexisting together with the ones who goes up from the 2nd one? B: Probably, until they die naturally. D: Is there any of your projections, another simultaneous life of me, in this year that I am, that you think that is not going to “pass the course”? B: Yes, not all my projections have the same evolutionary level; some of them are more advanced than others (David seems to be advance enough…Note from José). D: Ok, buff.. let’s assume hypothetically that an incarnation from you, a simultaneous life of me, is not going to ascend to the 4th dimension. If that incarnation was living near me. How it will see my pass to the 4th dimension? D: Wouldn’t realize that I disappeared from its life? B: It would lost the consciousness of you gradually. D: What about if it would be another person who I have a relationship with? Would she remember me since I’m not in anywhere? D: Ok, Do you know why I’m saying this ? Because in the planet, there are a lot of people that thinks, that part of their relationship circle, like friends, families, etc. probably are not passing to the 4th density. D: And they ask … .what about if I stop seeing my family? B: In our view, there are relatives that are not in contact anymore…. B: I’m trying to understand how this issue affects to you, because from our view it is something natural. I’m trying to adapt my perception to the corresponding one in your level and emotional body. D: I think I’ve got it, because probably, as one advance in the change of density process, you will be with the correct persons, and you will have to transcend together. D: So, it’s normal, you are not leaving anybody behind unless the persons you already did. D: Because they have a vibration or evolutionary level different than yours, are in other temporal line or whatever…so you won’t miss them because in the next years, when the vibrations grows people will be start to separate accordingly. D: You won’t be with anybody not needed when passing to the 4th dimension …well that has all the sense, if somebody I’m not used to see it anymore don’t will be missed. B: That’s it, it doesn’t mean any trauma. Because you always think in a traumatic way. D: I know, it is the fear of the people about to believe that some relative or very love person is going to choose a different way than their selves, and that someday they just will disappear like magic, and then they won’t know anything about them. B: Your change/shift is not going to be that way. D: Are there group establishment in order to go ahead with the shift? B: Something similar, with the ones that you vibrate at the same level, you will be adapting your vibration to the new density, as you call it. D: I don’t know if this question violates my free will but …can you see a period of time, or an approximate date, for the shift to get started? B: I have not awareness of it, for me the time is simultaneous, so simply it just already happened. B: We don’t have that point of view….I can’t or I don’t know how to provide you that information.. The below section was translated in late May 2014. It provides some current information around the status of the shift in consciousness. Yesterday, with other colleagues, performed a hypnotic regression session just to try to update the status of the “Shift”, trying to connect with that guides and beings who were helping us about the status of the evolutionary process, the different temporary lines, the status of the “4th D network”, etc… It was a very long session with a lot of information, which I´m trying to resume it here and where we trying to get a global “photograph” about how the things have been changing these last months since the last info offered. Some of my colleagues, were talking about they were noticing a more clear separation between the both “realities”, just to call it somehow, so the first thing I asked yesterday was if that perceptions had to be with the frequency separation that is more clear now between those” main ways”, the Earth that goes to the 4th Dimension, and the one which stays like always and goes to a cleaning and total regeneration process. As well as in the last few months they were talking to us about the different temporary lines, where some of them lead to potential futures to the shift and others to different scenarios, they explained yesterday that a “collapse” was happened “in dimensional terms” onto two realities, one “Earth” ready for the shift, and another one that stay like it is, that goes forward to repeat a new evolutionary 3rd D cycle. You can have a look into the diagram below. If you watch on my Web page a “video” about the 4th D network months before, that I performed with my colleague” Xelo”, you know that a lot of people have been working in “anchoring” an energy network in order to give support to this new evolutionary level and help to raise the frequency of the planet. Well, Xelo commented to the group that she didn’t perform any new “anchor” weeks ago…and yesterday, our guides gave us the explanation of it: The new energy network 4th D is “anchored” completely, and that’s the reason, the end of the “anchoring process”, that is allowing that, finally, both “realities” or “planets” get separated, the one who is growing in frequency vibration and the other who stay like is today. So, since this energy substrate is linked and balanced accurately, the split of the Earth has been able, and was a process that happened recently, (Is what we were noticing and experiencing). So if it helps you to visualize it, try to imagine the Earth cloned itself, and starting to separate like if they were two natural cells, but still with interconnected and intercommunicated parts , but further more each time . 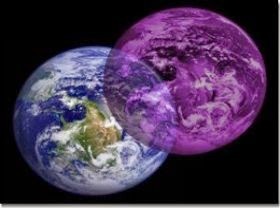 One of it is the actual Earth now and the other is a new Pre-4th D Earth. 12 – “Pre-4th D Earth, separated from the present one that follows the way to the new 4th D.
So at the present moment in the Earth, through a new cycle in the 3rd D (But without humans in the future at the medium and large terms, I will explain later on) the 4th D network doesn’t exist or is not affected whilst in the other Earth, the one to the 4th D, is where this network is located. The anchors deployed are allowing the awareness and vibration of a lot of people to grow, making the number of people ready for the change bigger. In the other hand “the negative polarity”, if we can call it that way, will drag to the rest of the people who are not ready to the shift, to the learning cycle replay in others places (Other planets). So the energy network acts in those ready to the shift and is used like a catalyst for them in order to empower their abilities when the shift happens. Due to the fight between both polarities in the planet, and taking into account that the separation is not fully completed, it is very important the actual work to reach and stay in the highest vibrational frequency as possible, the Earth Pre-4th D, and try to disconnect from the other reality. There’s still the possibility to jump from one to the other, but each of us should feel or notice to which of the two options go. The guides told us that, clearly, that this depends on the emotional status of each person particularly, with both, people who are not able to go down to the 3rd D Earth and people not able to go up to the pre-4th D one. Only the ones, who stay in the middle, are the ones who can fluctuate between both places without notice it, because the influence of what is happening in a world level. Regarding this I want to re-mark something that is interesting for me, I think: the fact that you want to be interested in all of this makes that you fluctuate between both realities without notice it because not everybody is ready to dissociate from the info that they receive in an emotional way. According to the guides is not easy at all to be informed and at the same time not be influenced about that information. So be careful. D: So, Do you perceive the planet Earth, maintaining the 3rd and 4th densities at the same time ? D: But…the physic body that you will use will be human one? It is possible, that this future will be one among others in a long-term period. The energy structure of this new version of the 3rd D is the same that the present one to allow the life in the etheric, emotional and mental levels. In this in-pass of separation but connection too between the 3rd D and the Pre-4th D, the guides told us that there are so many people working in changing the present reality to allow a better future inside the reality noticed, that different alternatives are arising in the line that keeps this planet in the 3rd D. There are so many people co-creating more positive realities that a new alternative future is getting generated, in which, in the 3rd density, a more naturally and harmonic ways of life are being deployed, consistent with the planet, in a small communities, more self-sustaining ones. This type of realties, in the way that they co-exist or stay connected through a bridge between both realities, allow a speed-up of the personal grow and an approaching to the Pre-4th D Earth, just becoming a faster escape to jump to the final 4th D Earth and a way to help to rise the vibration of each person. It is just a way to implement a way of life of the 4th D being in the 3rd D. So they told us that it was very important to try to live more in this Pre-4th D way, strengthening the mutual cooperation between groups and persons, in full contact with nature and in places/towns/communities near each other, where people get much contact among themselves, working together for the common good of every place and person. As the different temporal lines exist in the 3rd D, the ones that follow the Pre-4th D will have different temporal lines to perform the shift. They told us that the primary energy changes and massive shift could happen in the range of 2017 and 2020, like a window to allow those people who have been ready do the shift. From here, different massive waves will happen in order to perform the transit from one dimension to another and perhaps they will be related to the scope of the awareness critical mass of the different places or zones in the planet. They told us also that there are a lot of people ready for the change already, so in a simultaneous time scope, one first wave of transition already happened, and they told us that in our present timeline it will happen in the 2017. From this simultaneous time point of view, the guides told us that it was very clear who will transit to next dimension and who won’t do that, but in our present timeline, we still have to be working in order to get more and more people stay in this new Pre-4th D, in order to cover the potential futures that they are noticing right now, in order to perform the shift accordingly of those who have been seen in the 4th dimension, in that simultaneous time scope in the next years. Among other things, the guides cheer up us to explain and help to the people in order to take control of their lives, empower them, in order to depend on the actual structures less each time, that they understand that the present leaders who order and manage them are no needed, and we need to cooperate a lot of more each other inside small groups, and where we decide by ourselves, to be more self-sufficient each time in order to avoid to depends on the present structures because we don’t know how many time these structures are going to be supported and probably will collapse soon (because the actual system can’t be supported even with the patches they are trying to introduce, and still keep continuing against the planet) and that we have to do it both ways in an individual way and in a small group way, in the groups we start to form. So, for the moment, this is the situation of the evolutionary scenario in which we are involved right now, and shown in the way of the guides who assist us notice it. Hope it will be useful for you. This section below is another translation of David Topi’s information. It was released by David and translated by José around the 11th of June, 2014. After de last update session days before, where my colleagues and I tried to catch up about the frequency, vibrational and energy changes happening now in order to update the info gave in the conference of the last year, with everything received about this evolutionary change that we are experiencing now, today we try once again to received more updates and details about it, that were pending, and some questions which allow us to clarify some points of the present picture that we were told by our guides. Precisely about the last article, casually, a friend and a colleague of mine was calling me to talk about an experience and a vision she had in a meditation process, and that was related to the frequency separation between “the both Earths” or realities that I mentioned in the previous article. She told me that she have seen, or was showed by the guides, our planet like two interlocked rings, that is, one underhand and overlapped part of each ring on the other, and another part “free”. (See diagram). That is, indeed, the picture that any being could have if looking at it from the outside: two overlapped planets separating each other in a frequency way more and more . So, taking into account clearly this generic scenario, the first thing that I try to define today is how can be measured that separation between both Earth’s in order to obtain some kind of magnitude to monitor in the next months. It can’t be measured in grades or Hz (Hertzs) or any other measured units of any kind but percentage, so assuming 100% to be the total separation between both Earth’s, I have asked about how “width” the overlapped zone was where both Earth’s live and converge. Then, since we knew that inside those two macro-realities different smaller temporal lines have to exist, because not everybody present in “new Earth” is vibrating in the same level and the same in the “present Earth”, we have asked about the details in a temporal line level and sub-realities for each “Earth”. 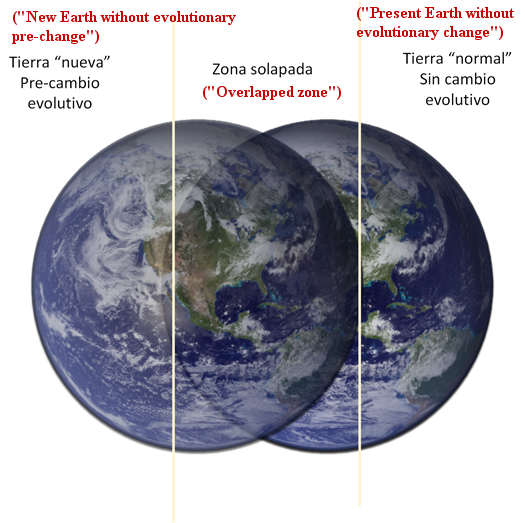 Right – Normal “Earth” without evolutionary change. Left – 4 temporal lines. The most positive one is a direct ideal line to the evolutionary level change, the other ones too but with frequency levels and slower “times” of shift. Centre – Overlapped zone, 1 medium separation line. Right – 2 Main temporal lines right now, one more negative than the other. The way the explained to us, inside the “manipulated present Earth”, 2 Great realities are co –existing, in this moment (Next week it could be more or less lines because it is dynamic), both lines are going to a repetition of the evolutionary actual cycle for the planet and to a possible deterioration of the present situation, in a general way, although one of them, to say it in a way, is smother talking about events than the other. My guides never provide me details about “what is going to happen” directly because everything is probabilities, possible futures, and that depends on the amount of people mass attached to each temporal line in order to manifest one option or another one. (Perhaps prompted by others but co-created for those who exist in this reality). Anyhow, neither of the two temporal lines in the present Earth seems to have a happy ending. They are the “red lines” in the picture above. One of those lines belongs to one of the realities of the overlapped zone, again, frequency talking, between both “Earth’s”. Then, in the “new Earth”, (I think that we could find a better nomenclature in the future, but now I don’t know which terms to use), 4 main levels of realities are noticed, 4 temporal lines. All of them point to the same destiny, the evolutionary level change of the human race, (the ones who stay into them) but at a different rhythm and shift times. So, the two first ones going like a rocket, just a few years, and the other two are slower, and are present in the overlapped zone, although they belong to the “Pre-Change Earth”. They are the green lines of the picture above. 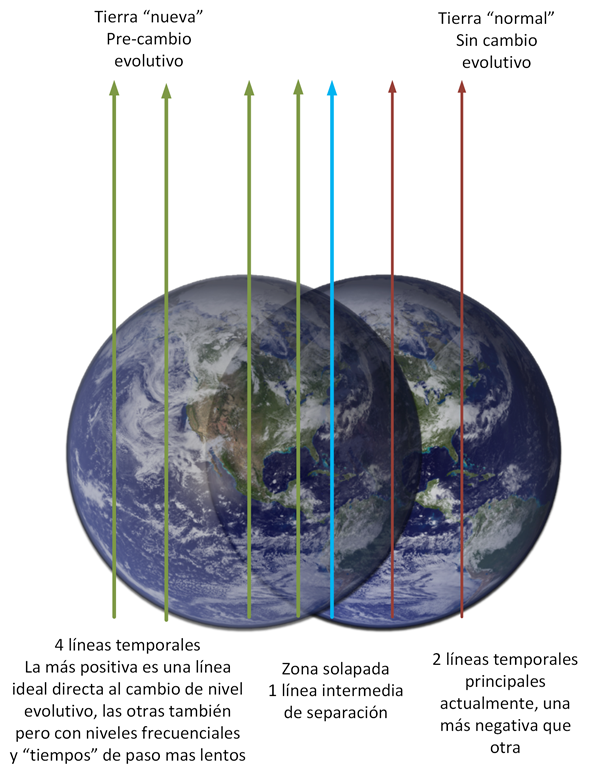 Finally, exists a new very big line that exits in the overlapped zone and separates the” both Earths” from each other, it is a temporal line with a lot of movement due to the amount of people entering and exiting from both sides. It is the line somehow who keep both macro-realities separated and it is the blue line of the picture above, also named #42 temporal line. This last blue line is the most interested one for our TPTB in order to destabilise it, because it can prevent the shift of a lot of people actually, if the line is directed to the “present Earth”. The more number of events happening that affects the red lines and the blue line, the more difficult for a lot of people in order to perform the shift. Like always, everything depends on yourself exclusively, because is your vibrational and frequency level, actual development and your awareness what makes you been attracted for each of the lines. 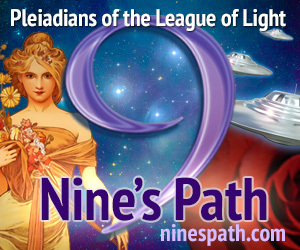 For the moment, the most percentage of the population is in the overlapped zone and in the “manipulated present Earth” while just only a small part is well settled in the “new Earth” zone in one of the two lines of direct pass to the shift. That means that if we are in the middle of a negative event (like a war) possibly the “local reality” is heavily anchored to the one of the most negative lines. In the other hand, since all the realities are overlaid ones from each other, it is possible that somebody living in that zone of conflict could be completely aisled from the event because his vibrational frequency is high enough to align to the positive available lines. What happens in this case is that person allows to be dragged by what he sees, hears and feels , possibly his vibrational frequency would change enough in order to left the positive line, and to join to a more negative one. That co-exists in the same time and space, but into different levels. Clearly, and possibly most of this persons are unconscious of what happens perhaps, just their world is one without this kind of conflicts that the rest is living right now, or if the exits are far enough to take care or pay attention and that events don’t affect them. By contrary, most of us are submitted to the circumstances performed by the events deployed by the TPTB. So let us trust that Bilderberg guys and the rest (just to say a recent event) take their plans to board they recue shifts and left the planet towards the lunar and martian bases and leave us alone, just to try to add harmony and love to this world in these so important moments for the human race and this way going forward to a new plane of more pristine waters. The below section was released by David Topi not long before the 20th of June and again translated by José. 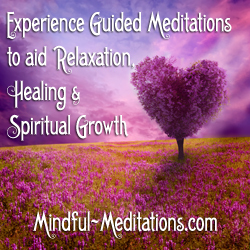 David provides an analogy of the changes going on, and also a guided process around what an individual can do to assist themselves with the shift in consciousness. It is very difficult to explain, sometimes, how is possible to talk about so positive changes , about the evolutionary process that goes forward, about increase our vibrations, about to change our awareness level etc.. And after that, keep on seeing that the global situation in this world seems to indicate the contrary. The concept of the reality division into two different ones is very complicated to understand, and even, it is more complex to put words to what does mean that both realities happens together, and to figure out that what happens in one reality doesn’t happen in the other one. Sometimes I feel that I’m lack of words and expressions to answer your emails requesting a simple explanation about what is happening, because the fact that someone can fell personal changes between temporal lines, when you go from one reality to another, is something that you can’t understand just reading an article if you didn’t notice how your reality was changed. So, I’m going to try to use an analogy about what is happening now, in a macro level, using a story, … and see if it is useful to understand the convulsive times we are living now . Welcome to our planet, a ship surfing the infinity waters of the ocean that our universe is. All together are on board. The rudder is controlled by the collective awareness of the people on board, but at the same time, the ship itself, because it can notice itself, can put its sails oriented as for its convenience in order to be directed to. While the ship and the passengers are ok between each other there’s no problem. Even that the passengers were the ones who broke several sails, burned some masts, drilled some decks and destroyed some oars the ship allows the passengers stay on board and move them through the creation waters. Life on board, in general, is not easy. Most of the passengers don’t realize what is happening, because the ship is so big and there are a lot of nooks and places to be in order to pass the journey calmly, just busied in small tasks. Besides, since a lot of time, most of the people on board don’t’ know that the ship was boarded by the pirates, who, hidden at the top of the masts and behind the sail’s shadows, were getting everything present in the ship, managing some specials passengers with power desire, in order to work for the pirates in a tactful way, and to control the rest of the passengers in order to perform different tasks like cleans the decks all the day, sorting the material inside the hold, performing management tasks …so the passengers only take cares about these little tasks, because the own passengers believed that they had control of these tasks …And, even more, some crew members, very clever themselves, agreed with the pirates that the pirates authorize them to govern the ship completely “without giving attention”, in return of some favours so in this way the pirates didn’t have to worried about controlling all the passengers themselves. As time goes by, the ship crossed several different seas, going through stormy places and calmly zones, making possible that the waters, wind and energies changed the ship structure slowly. The ship itself knew where to go and what is going to happen, because its desire was to arrive to a specific seaport and suffer a total transformation and renovation, but passengers didn’t know anything about this issue, but the pirates and their “associated” crew members were doing nothing but to try to move the helm in an contrary way in order to redirect the ship from the evolutionary route marked by the ship itself. This fight about the route to follow went on a long time, because some passengers knew about what was happening, and cooperated with the ship in order to help it to arrive to its destiny , fighting first against the crew members who were friends of the pirates and then with the pirates directly, because they discovered the places where the pirates were hidden at the top of the masts, and the pirates got visible for a few of the passengers who were alert and knew what was going on. Like the ship was trying to follow his own route without delay, it decided to ask for help to other near ships, in order that passenger belonging to that near ships, who had a sense of adventure and a lot of appetite to help others, can on board the ship and cooperate there in order to stop the pirates. The pirates, at the same time, resisted leaving the ship, and even they fight among themselves in order to control the ship completely. In the meanwhile, the crew member friends of the pirates were completely confused because they didn’t know anything about what was happening there as the wars were each time more and stronger, and nobody knew who was in charge. So the call performed by the ship continued attracting new brave sailors that were entering the ship by places not fully controlled by those in charge. And set of ten of small ships and even a very big aircraft-carrier started to be around the ship in safe distance, just to take control if the ship got uncontrolled completely or just to allow the complete flow of sailors among the ships. So the time was going by and the original route was more or less maintained until the situation was lead to a new more complicated step. Noticing the ship, because it was conscious about itself, that its passengers, if they want to go to that new destiny, they had to fulfil some physical conditions, in order not to make dizzy, or to resist the new waters to cross, realized that most of the passengers had been most of the journey just only cleaning decks and attending just only their small tasks and that they even didn’t know the sea, and didn’t get relation with the ship itself with the result that the passenger didn’t fulfil the physical conditions needed. Anyhow, the ship didn’t realize that according to any moral or value judgements because it knew that every single passenger always arrive to his destiny, no matter the time it take it. So something had to be done because for one side, the ship, tired, wanted to go to a new seas of crystal waters, a calmly ones, and by the other side, it wanted to provide the passengers a way to continue with their evolutionary process so they can meet with it in that new waters, when both got prepared to do so. So the ship, just after a lot of work and externally help from the ones of the others ships, decided to get separated in two ships. This ship, which was very intelligent, was able to make a copy of itself, and decided that this double were separated from the original slowly and this way, to transport those passengers who wanted to suffer new seas but without pirates, crew member who manipulated them and so on. What happens here is that this separation process couldn’t be performed in a instantaneously way, it has to be performed softly and carefully, moving the passenger discreetly and subtly, from one ship to the other one according to their spiritual level. Besides, everybody was helped in order to understand what was going on, in order to make people choose which ship to board according to their freewill, the new one or the old one. Meanwhile things were getting worse in the original ship. The pirates fight between each other and besides that, they fight with the new sailors coming from the other ships just to try to block the separation process and avoid passengers to go to the other ship. So the sailors coming from the other ships wanted to maintain the old ship as good as possible, and at the same time they wanted to keep the door opened to the passengers who wanted to jump to the new one. In order to perform so, they put a big board, that forcedly fixed connected the old ship with the new one, a big gangway, that separates both s hips but at the same time kept inter-connected the ship until the separation process was completed. That big gangway allowed, if stable, keep the thinks going ok, in a slower way and gradually, reaching the goal for some of the passengers starting to cross from one ship to the other, and at the same time it allowed to the passengers already in the new ship, return through the big gangway to the old ship in order to help to others to cross, temporally with a relative security. That was the most difficult part. There were a lot of decks in the old ship, a lot of levels, and the ones who were in the deeper levels were the most difficult to be reached. There, in the deeper decks, all classes of battles, fights and clashes happened for the ship resources, and the information systems around the ship were the ones in charge of transmit that to the rest of decks and passengers. Actually, if you didn’t live in that decks, you were not affected so much, (except for the noise produced by that racket, and the corresponding worries about the possible spreading of that events in your zone). But it kept the tension constant among the passengers, who attending to the global information didn’t stop to have a look to the lower levels and at the same time forgot that the new ship was more separated from the original one and that the big gangway wasn’t to be connected for ever. By the freewill and personal work, each time, more and more passengers started to left the deeper decks and discovered things that happened in other part of the ship, in the upper levels, because the personal awareness and the amount of people noticing that, some of them discovered the big gangway, and they reached the new ship with personal effort, where notices about what happened in the old one arrived, but they didn’t have any influence. Other passengers, unfortunately, instead of going to the upper decks, tallowed to be dragged on themselves by the racket originated in the deeper levels, making almost impossible that the sailors coming from the others ships and the passengers who knew the new ship, could throw ropes large enough in order to catch them and be able to hoist them to an upper levels. And that went on and went on, the ship didn’t renounce to the determination about to keep both options together, but with separating process slowly, trying to reach as many passengers in the new ship as possible. When the pirates realized the gangway role, they also tried to unbalance, brake and take away it, because if everybody goes to the new ship they wouldn’t have any passengers in which they can apply their power on. And since they were not allowed in the new ship, who were they going to order to? Who is going to stay in the old ship in order to perform all the maintenance tasks? They don’t, of course, so it was necessary for them to keep the most passengers in the old ship, trapped. The pirates order and order most frequently to their “friend crew member staff” in order to make more and more racket in the deeper decks, so many of this “staff” started to think about leave the old ship because was out of control. Anyhow, most of them, just because they didn’t know another way of life than be ordered by the pirates still continued obeying then and continued as always , making movements in the old ship. And what happens meanwhile in the new ship? Well a lot of the passengers who crossed to the new ship stayed near the gangway, because they resist in order believing that the old ship wouldn’t be their home anymore, and that the new one will become a luxury cruise. So staying so near from the gangway, some of them went to the old ship and returned to the new one, and the contrary too, but the learnt that the separation process had to continue in order to advance. A lot of the ones, who crossed in the first opportunities to pass, were already so far from noise of the old ship, that they even weren’t noticing its presence, because they were arriving to the new crystal waters, and the upper part of the new ship, like magic, started to get transformed in a luxury cruise that would be their future home. So, the one were prepared enough, started to notice and feel the new rooms and ship cabins, the new deck, the new sails, and the new furniture present in the new cruise, which started to show itself at prow. What a wonder !!! And they didn’t make anything than shout to the ones in de deepest levels of the new cruise to forget all about of the old ship, (fights, issues, rackets…) and asked them to go up, to start to look at the transformation and enjoy of the new cruise that were revealed from little by little. Some of them follow their instructions, and little by little were free of their old tribulations, it is not like they didn’t exit, it was the echoes of what happened that were much less important, and so had no sense to worry about them. Meanwhile, a lot of the new sailors and passengers still have the gangway firmly fixed, and helping others to perform the pass , and allowing at the same time stay in the old ship the ones who desired that by their own freewill. And what happened later? Well, I’m still have to told you the end of this story, but let me to do so in another moment, because have no sense to broke the end when you can experience this story at the forefront. I just will tell you, that at the end, both ships get completely separated. And the old ship went navigating for the same waters as usual, and in an accurate period of time, it was completely dismantled in proper shipyards , and after that was re-built again but without pirates, crew members and passengers (because they were leaving the ship and moving to new ships of similar features)only with plants, animals and fresh life to start a new route for the same waters than before to complete a new evolutionary wheel. By the other hand, the new ship, transformed in a luxury cruise, does the same, in different waters, and with part of the passengers of the old one, while enjoy their piña colada’s cocktails and sing the “Ode to Joy” for the great adventure they had lived. In the upper part of the masts some shiny heads started to appear from the lower and intermediate levels, they heard about the notice of a new ship, but they were confused because they didn’t know how to find it. There were told about a gangway to cross, but they couldn’t see it and the more and more rounds were performed everywhere; they started to think that something was wrong or that they were wrong into the process. One of those passengers that started to show his head asking for assistance was listened by one of the sailors present there in order to help passengers to cross from one ship to the other. 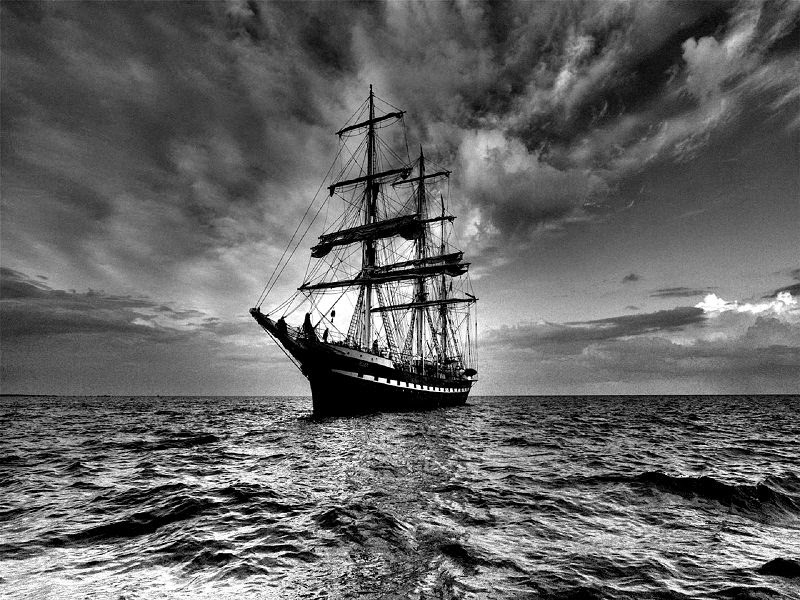 I don’t know how to cross- said the passenger – all what I can see is the same ship again, I’m up, I’m know what is happening but I’m not able to find out the gangway.Calm – the sailor said- is easier that you think. Just sit down beside me, because I’m going to explain how to do it. The gangway is magical, it is not seen with the naked eye, but the reason of that is not because it wanted to keep hidden, but to find it you need to have your vibrational state just a little bit altered and a more expanded awareness is needed too, just to see things that at naked eyed doesn’t seem to be there.I don´t understand it – the passenger said- What I need to do in order to make the gangway be appeared?Indeed, no much, or by contrary, a lot, depends on how you focus onto it. I’m going to show you a way to start doing it, because when you have understand and integrate it, you will notice that for passing from one ship to another , the gangway is even unnecessary. First – the sailor said – you have to understand that the other ship is already present, with us, above this one, sharing the same space so we are sitting in both of them, the new one and the old one, at the same time, because the separation between them is so small that there is no so much different in place or “space” terms. The thing that determinates which ship you see is if you resound with one ship of with the other one. So depends on which you tune in to, that will be the one you experience. It is like one of the TV sets that you’ve got there in the hold, a lot of channels are present in the same “space”, but depends on the way the tuner is set up, you can choose one or choose another different. That’s not true – the sailor smiled- because you are the remote control, and there is nobody else than yourself who can make you to change the channel. I`m going to teach you something that will allow you to learn how to tune in the new ship channel, but I can only show you the door, I can’t make you to cross and I can’t cross it with you. I desire it, guide me please. Close your eyes – the sailor said- and let us to relax. First I’m going to teach you how to call to the higher energies that are going to help you becoming a personal remote control. Is that right?All right, let us start.Take a deep breath and relax. Well, now you have to concentrate in a point inside your physical body. You can imagine that you get connected to something that it is behind your navel, a pair of fingers upper from it, towards the inside. Let us call it “your essence “, the name has no importance. Try to feel your essence, visualise it like a pure energy, a light, that you have inside and that represents the most pure part of your soul.Now imagine that you bring it out, putting it in your hands. Bring out that essence, with diamond or star shape if you wish it, like if you were holding it out softly in your hand palms. Do the gesture physically, extending them, visualise the essence above them, vibrating, pure, radiant. Raise your hands now, and show your essence to the ship, to your planet. Tell it who you are, say: I’m here, I am…, and I introduce myself before you, my lovely planet. I thank you for collecting me in this journey. I want to help you and collaborate with you. Imagine that you show your essence to the planet like your cover letter. It is your light, that the ship recognizes, and the ship is happy to see that one of its passengers consciously shows to the ship the sample of essence present on him. Now the ship recognizes you and knows who you are. Now, look at the sun, our particular logos, our life provider, show him your essence, raise your hands, open them a little more in order to expand and integrate your essence with its energy. Tell the Sun who you are, introducing yourself, made available to the Sun, because there isn’t more pleasure that to serve to the Creation process and the ones taking part of It. Let the Sun awareness to recognize you, that it knows who you are, shout loudly to it that you want a help and at the same time receive its help. Remember, this is a team work always. Imagine your essence growing each time more and more with the energy and love submitted by the Sun. Enjoy it!Finally, look further, to the centre in our galaxy. Our galactic “logos” is there, the awareness and the being that provides life to everything that exits in this Milky Way. Show your essence to it, tell it who you are. Open your hands even more, that your essence covers all you can reach and beyond, that your personal energy integrates itself with the galactic energy. Ask for its help, and tell it that you are made available, because the joy is even bigger when bigger is the service to others. And now stay there, just for a whiles and enjoy the simultaneous connection you have with the Earth, the Sun and the Galaxy. Now you have showed your essence to them, they know who you are, they have seen bright you internal light, you are already now taking part into the creation process, and all the heaven cheer up about seeing you wake up and be able to collaborate with you. Well, now, you will have to do something more in order to start seeing the ship, we haven’t already finished. Now, in order to expand your awareness and raise you vibration to see the ship, you have to allow your own being, the highest part of what you are manifest on you.So, now, listen to me, and follow my instructions while I’m guiding you. You have to realize that you aren’t the body and the personality which you are identified only. You were born from a much bigger BEING, that sent a small piece of himself to become what you are now, to experience through you what are already experiencing, and that is waiting to you in order to call it presence, to help you with the evolutionary step that you firmly desire. So, right now, give your attention, if still was in the centre of the galaxy, and imaging that a beautiful golden cord, appears from your seventh chakra, a fired thread, which is projected and it is lost in the space, connecting with your BEING, Through that cord ask your BEING, to your guides, protectors and guardians, to help, you, to guide you, to point you and have faith, because they never stop answering to any request. Invite your BEING to connect with you, and try to imagine that you connect with him and that connection gets stronger each time, and that communication channel was more fluid and expanded. Now, I’m telling you listen to me accurately, in order to go to this new ship you will only need reinforce this connection, open it, expand it, because the force that increments your vibration is there, it will expand your awareness sphere, will grow your vibrational frequency, it will wake up you in an internal level. Now, practise, my friend, incessantly, and I will return in a couple of day to teach you something more.So the sailor left the passenger working about what he learnt, and after a couple of days, he returned just to see how the things were going.I’ve experience things that I’ve never dreamt – the passenger said- I’m starting to see changes inside me, I’ve started to notice how the noises in this ship are external and a little bit further, I`m starting to realise that I’m not taking part of this anymore, but I’m still without to see the gangway. That’s the reason why I returned my friend. Just to teach you the last step. But I have to advice something, now it is soon in order to stay indefinitely in the new ship, in the new one I’m going to show you. You will be able to go and return , and perhaps stay for a while in the new ship having a look to its new colours, having a look to its new infrastructure or even noticing the new furniture, but until the new ship get completely separated from the old one, and specially the new one became more consolidated, we aren’t allowed to inhabit the new ship, this is why, in the meanwhile, we stay between both ships at the same time ,crossing from on to the other, working in ourselves, and trying to help to the ones who requested our help like your case from the deeper decks. In addition, other thing, when you start to understand how that it works and you start to use it, you have to work in order to the make the rest of the passenger understand this issue and teach them. Are you agree? Yes. I’m ready. Tell me how to cross.Ok .Let’s go then. In these moments, the easiest way to connect with the new ship is, later on perhaps, when the separations gets more evident, we can do it in a different way. Close your eyes once again and relax. Connect with your BEING, connect with the planet and keep your attention in the heart. You are going to have to look after the pass door there, the gangway, because you can reach the new ship from there. Understand what this gangway means, it is a vibrational bridge, an energy portal, a special vibration, which, in order to be engaged to, it allows you to cross to the other ship, although, as mentioned before , in a temporally way, just to see and fell it and to understand where are we going. Now just visualise that you enter in your heart, like if it was a big living room. And look for a door, a special one that has enough features to recognize it without any doubts. Ask for permission and help to cross it, although it was to have a look, , it is all you need in order to going ahead from now. When you have recognized that door, don’t be afraid, open it and just cross it. A new hallway appears to you, and it finished in another door. When you walk along that hallway and arrive to the distant door, you will be in the entrance hall of the new ship. Just cross it and enjoy it. You will be in the same place than now, but everything will be very different…the colours, the sounds, the energies…and you will be looking at the destiny that you will face, and the place that belongs to you according to your evolutionary level. Don’t stop arriving here all the time you can, neither don’t stop to connect to your BEING each day, neither stop the increase of your vibrational state, expand your awareness or stop raising your availability to serve to the others. There isn’t any better passport to these new crystal waters which we go towards, and there is no time to loose right now. Enjoy the process. And the sailor left the passenger with the new sensations transmitted by the ship, knowing for sure that everything explained by him was completely real, that a new period of time was born and even a new age, and that everything was available with something as simple, just to change the channel, just being like remote control ourselves, and having at the same time having infinitive energy from the universe like batteries for the process. José, for the translation of David’s work. This must have taken you many hours. David Topi, for expanding our knowledge further in these important areas. We think alike. This article on transients.info is licensed under a Creative Commons Attribution-NonCommercial-NoDerivs. You’re allowed to share it in full for non-commercial purposes, but you mustn’t edit or modify the contents. You must include all link, images, this licence information, as well as provide appropriate credit (author and link leading directly back to this article at the top). David Topi is an engineer, multifaceted writer, trainer and therapist. One of his main areas of focus is educating and helping people through spiritual and personal processes. 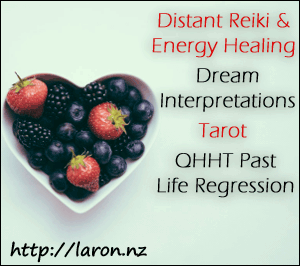 He is an energy healer and uses the “Akashic” healing technique. He is trained in metaphysics, alternative methods, inherent spiritual abilities and in personal deployment systems that allow humans to express their maximum potential and find answers for their questions. Back in 2013 he created EMEDT, Metaphysics and Transpersonal Deployment School, to provide a framework, organised and structured to the training he teaches. 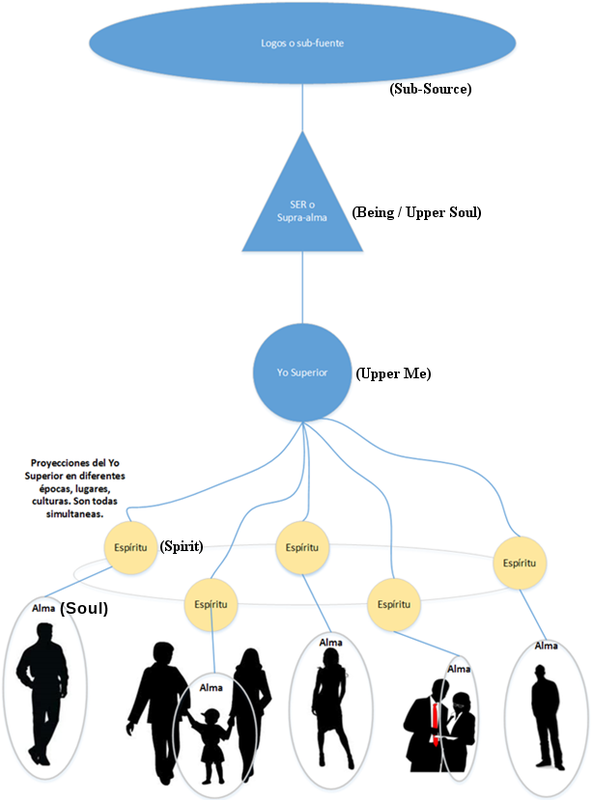 The website for David Topi's Spanish based Metaphysics and Transpersonal Deployment School can be found here, http://emedt.org. Cynthia, I think Paul LaViolette said in his latest update about G2, that it's orbit had already passed the Galctic Center, but if tidal stripping had occurred then it would still take a number of months (a couple more from now) until any objects reached the Galactic center. So that is interesting to hear that G2 has not reached periapse yet. Thanks for the link. I actually find it quite hard to find new information on G2 so rely on updates from Paul LaViolette mainly. Maunagarjana, I think that this concept makes more sense when you consider that those actually moving on are not going to be a large amount of people. So when it is said that people just move out of others lives… this could happen as easily as people who break friendships, end relationships and stop talking to people altogether. I stumbled upon this article “by chance” and I’m not an expert in astronomy 😉 I saw the names of Dr. A. Eckart and Dr. Monica Valencia-S. in the email thread, so it seemed legit to me. I think there were no results from direct observation published before the article from The Astronomer’s Telegram came out on June 30th. Maybe they just assumed that it had passed pericenter based on estimates, and they got very surprised when they observed it! What I have observed from not only Paul, but the direct sources he sometimes refers to, and other sources I have found, is that no one is really sure of anything. After all, they expected this to occur over a year ago. Thank you Jose!!! What a feat for you to do that for us – very much appreciated. Thanks of course to David and Laron also. The story of the ships was is so very well done. I thought it was delightful, well written and in touch. Loved it.